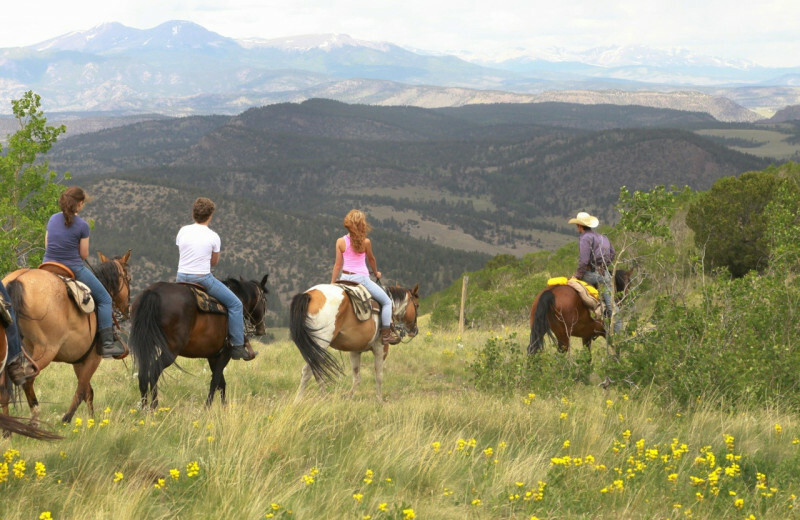 Surrounded by the majestic Rocky Mountains and the San Isabel National Forest, and located adjacent to the Browns Canyon National Monument, Elk Mountain Ranch is an exceptional destination for your Colorado vacation. 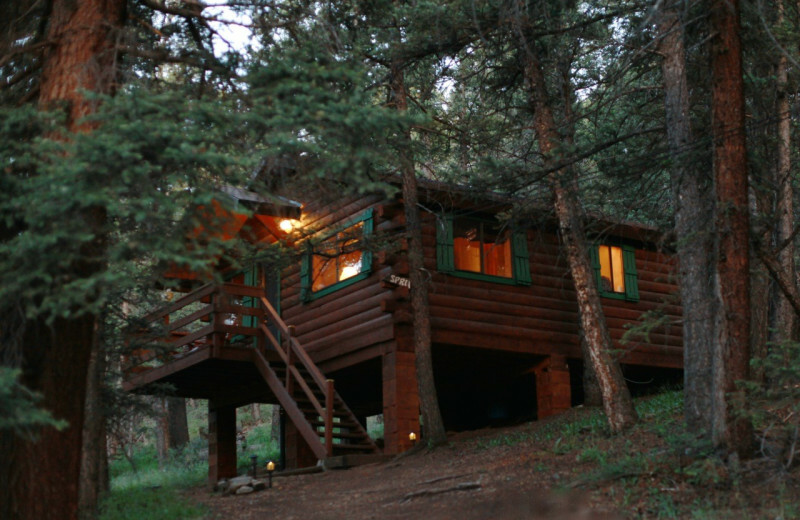 This fantastic retreat lets you trade in the skyscrapers and loud sounds of the cities for the tall, towering trees and the refreshing mountain air. 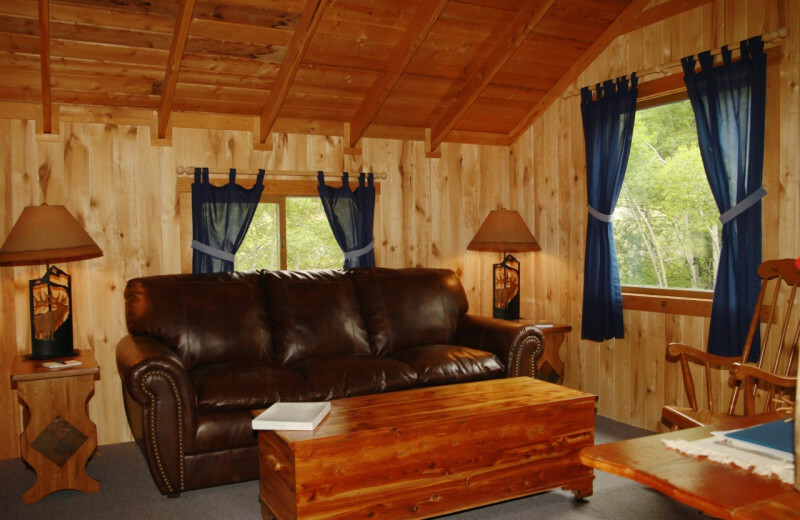 Stay in a charming cabin complete with full bathroom, cozy living space, and stunning views, and enjoy being just minutes away from all the activities and adventures this exciting getaway has to offer. 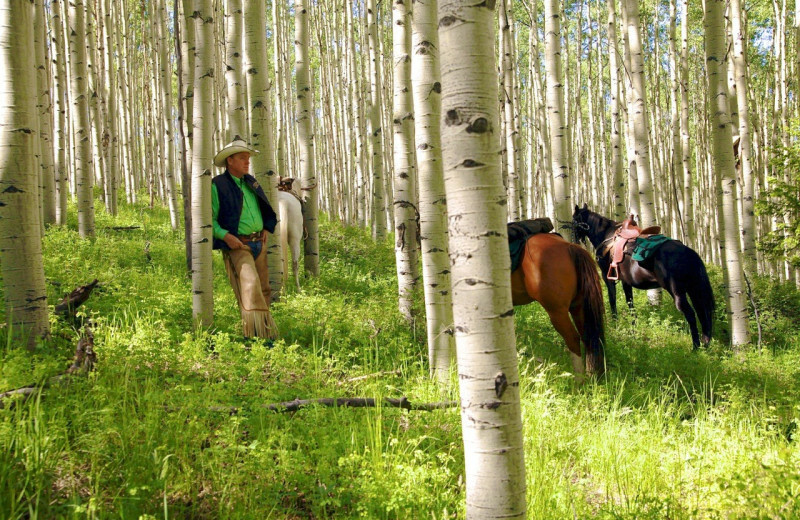 Everyday you can saddle up for an unforgettable horseback riding experience along the miles of trails through the National Forest. All of their rides are led by an experienced wrangler who will ensure your comfort and safety no matter your skill level. 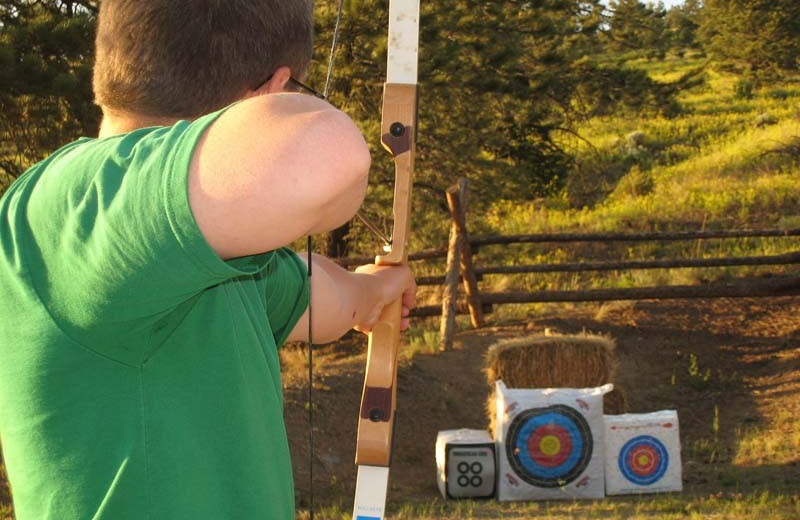 Onsite you can enjoy other fun options such as trapshooting and archery, along with hayrides and evening campfires. 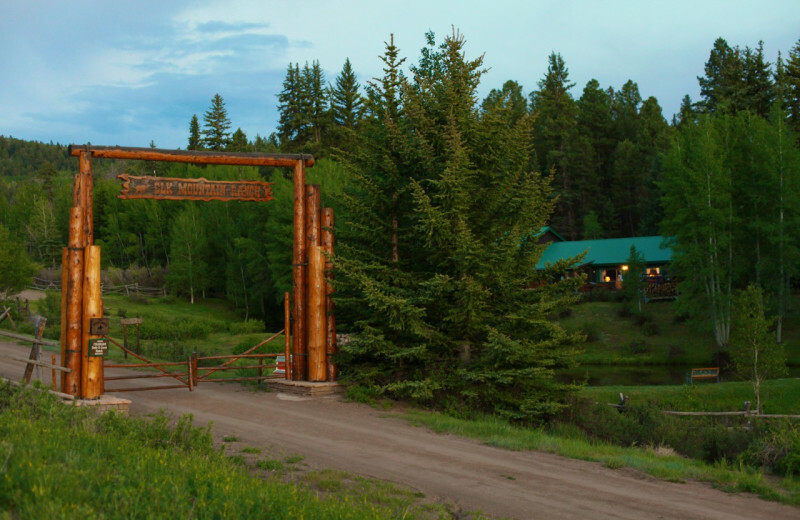 The ranch also offers guided whitewater rafting expeditions down Arkansas River and weekly scenic trips into Aspen. 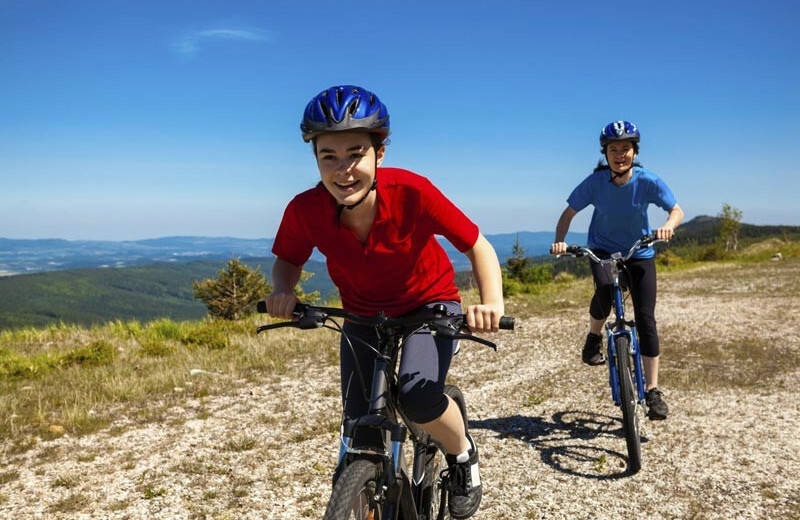 Mountain bikes are available for heading out to explore the surrounding trails, while two stocked fishing ponds are a great way to spend a quiet afternoon. 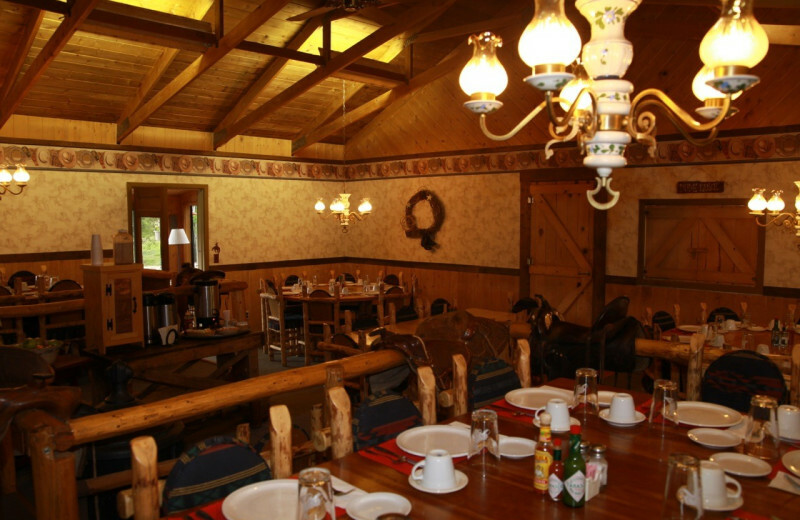 Top it all off with the ranch's full-course meals everyday to keep you energized throughout your stay! 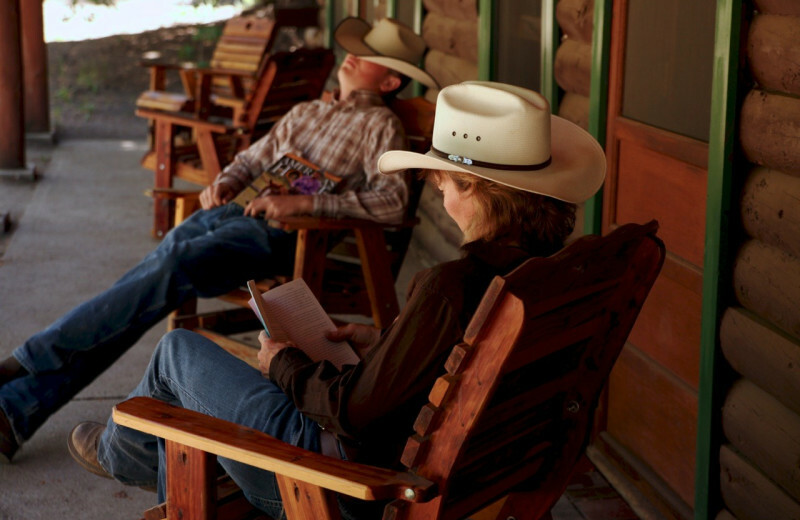 Elk Mountain Ranch takes all the stress out of planning your vacation with their incredible all-inclusive rates and experience. 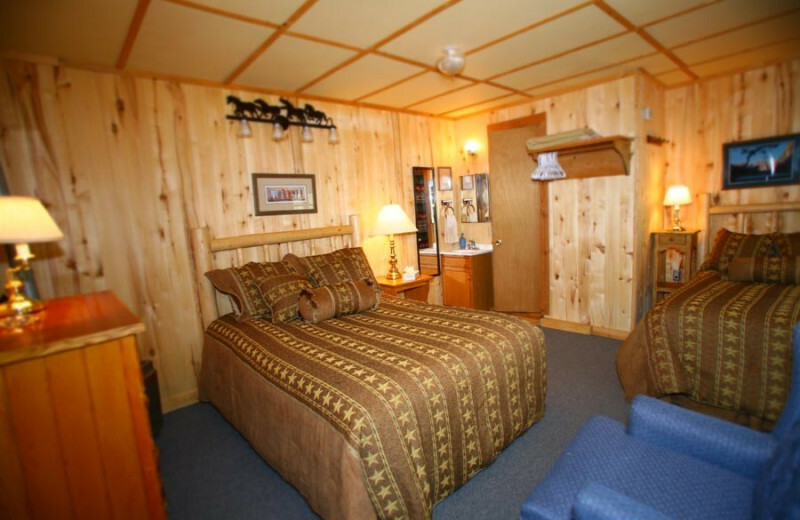 Comfortable lodging, daily hearty meals, and an assortment of activities right onsite make this the best place to getaway to with family, friends, or that special someone. 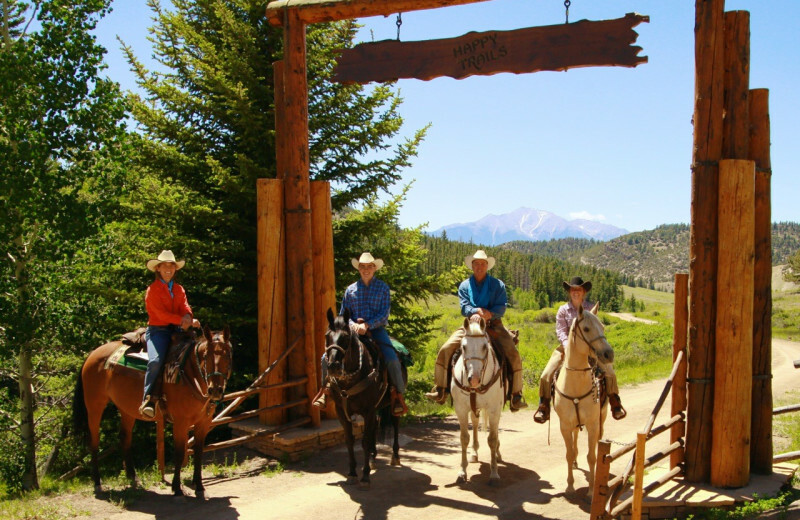 You'll love the guided horseback riding, trapshooting, fishing, and nearby whitewater rafting opportunities as much as you'll love simply relaxing and soaking up the views! 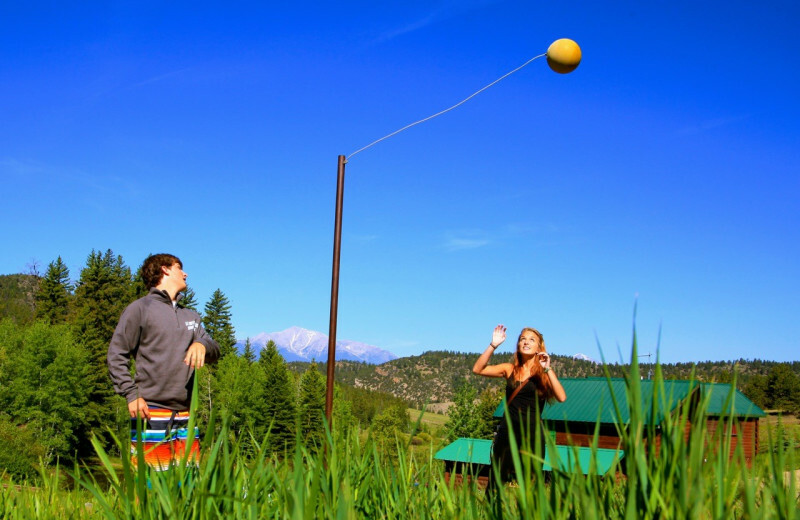 The endless array of activities that await at Elk Mountain Ranch make it the perfect family retreat. 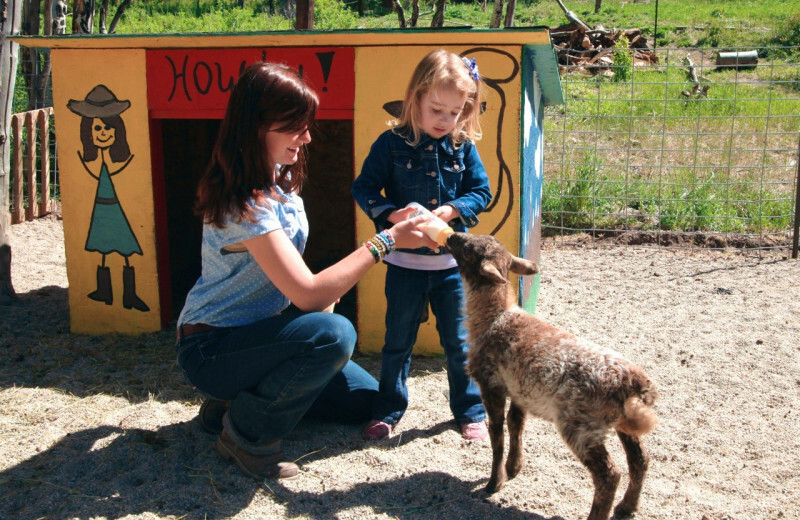 An onsite Children's Program includes exciting supervised opportunities for the kids 7 and under such as hiking, fishing at the ranch's stocked ponds, and taking care of the petting zoo animals. 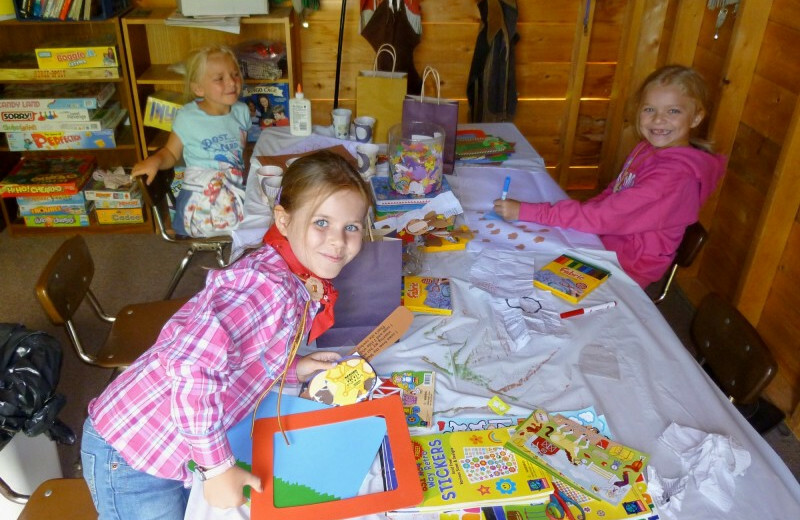 Plus there's daily arts and crafts, and, of course, horseback riding. 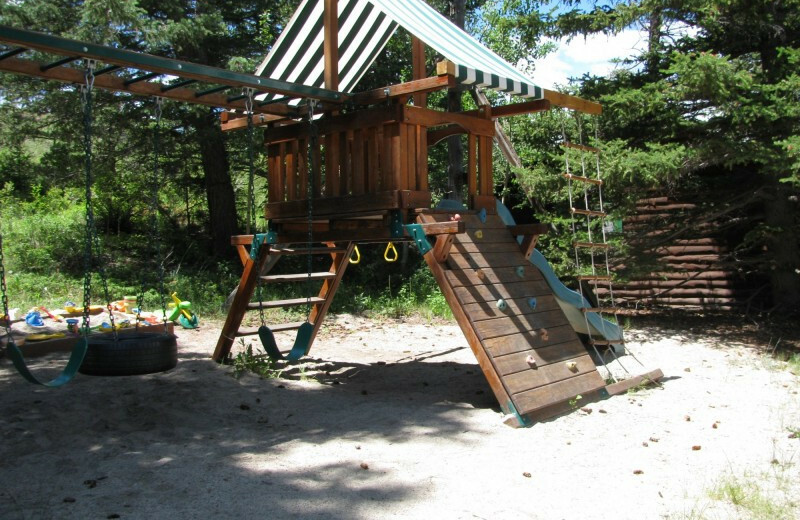 As a family, you can enjoy riding trips as well, or head to the Browns Canyon Ropes & Adventure Park for a little more entertainment and thrill. 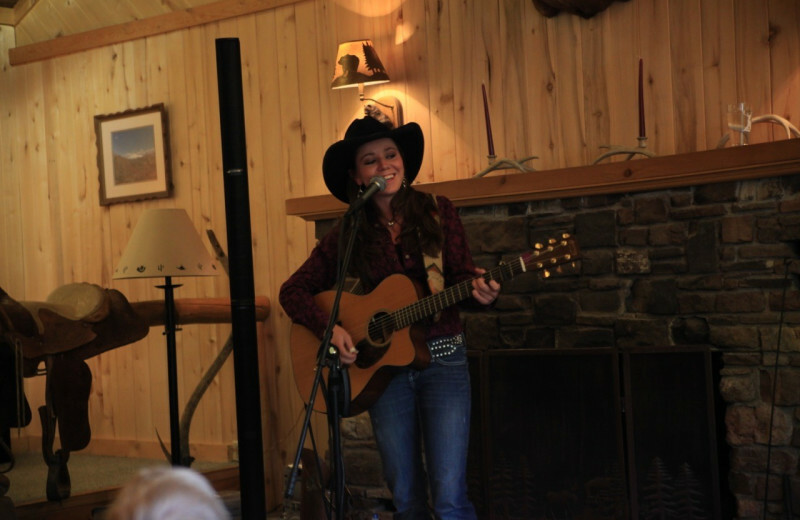 Evening campfires and square-dancing will keep you entertained as well. 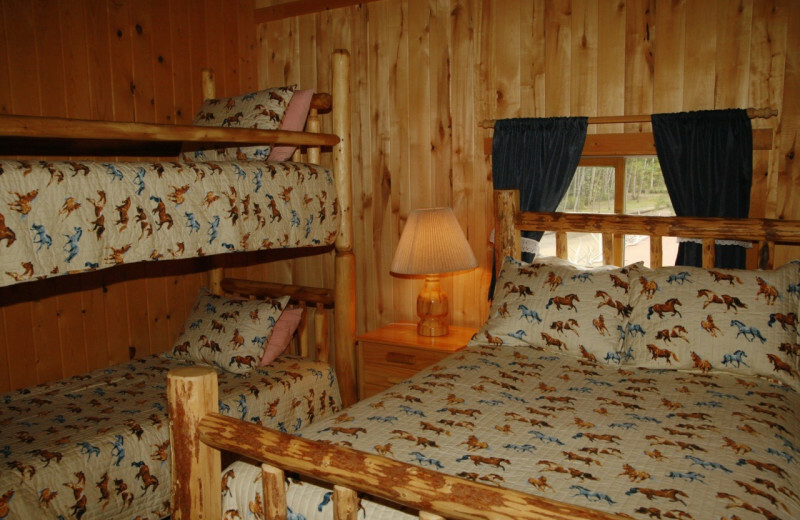 Family fun never ends at Elk Mountain! Have a reunion that your family will remember for a lifetime. 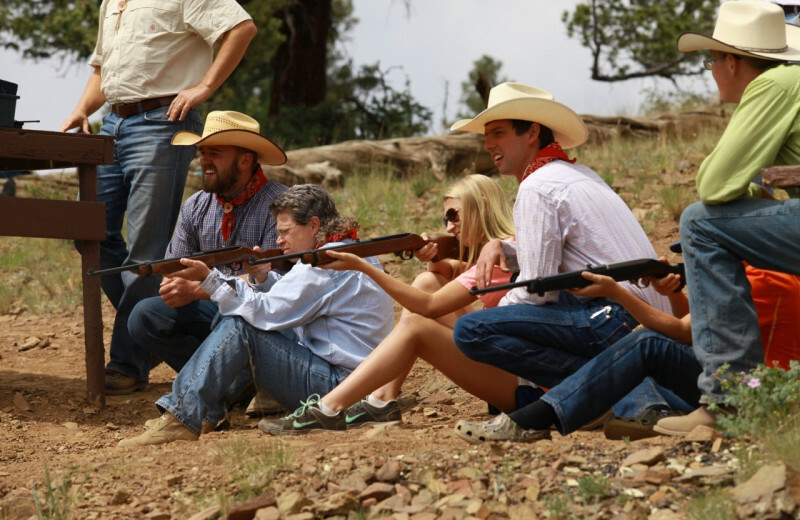 There is no better environment for a family reunion than a dude ranch. 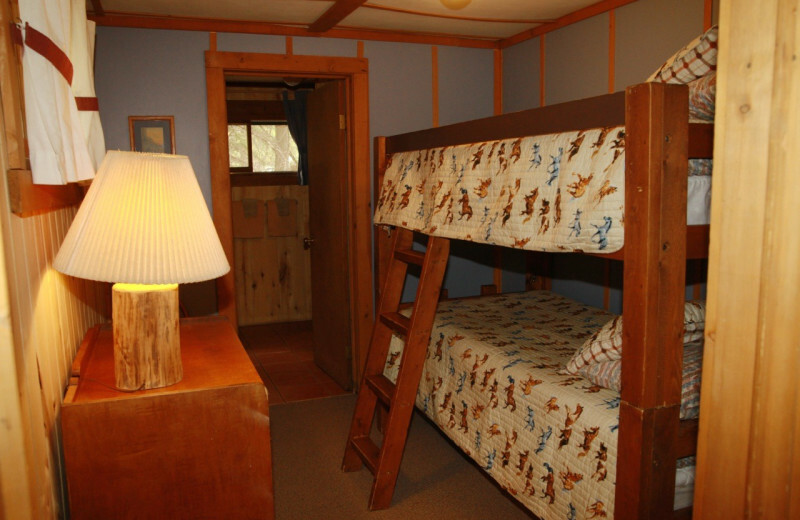 All your activities, meals, and accommodations are all located in one place. There are activities for every member of the family. 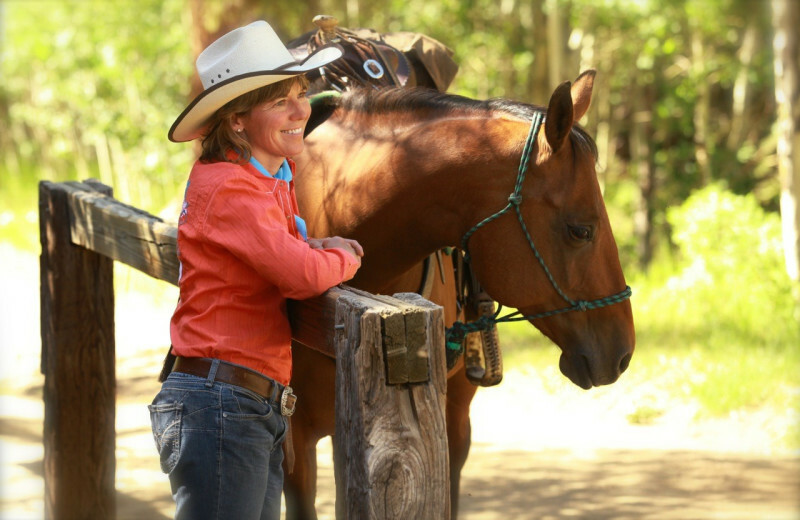 You will build memories for a lifetime as you ride, fish, hike, and sequester yourselves from the distractions of the outside world. 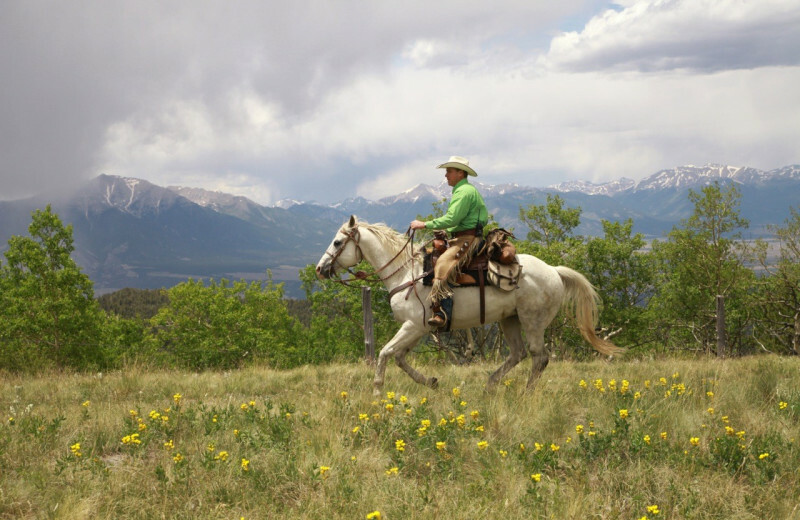 Elk Mountain Ranch is Colorado's highest guest ranch at 9,600 feet of elevation! 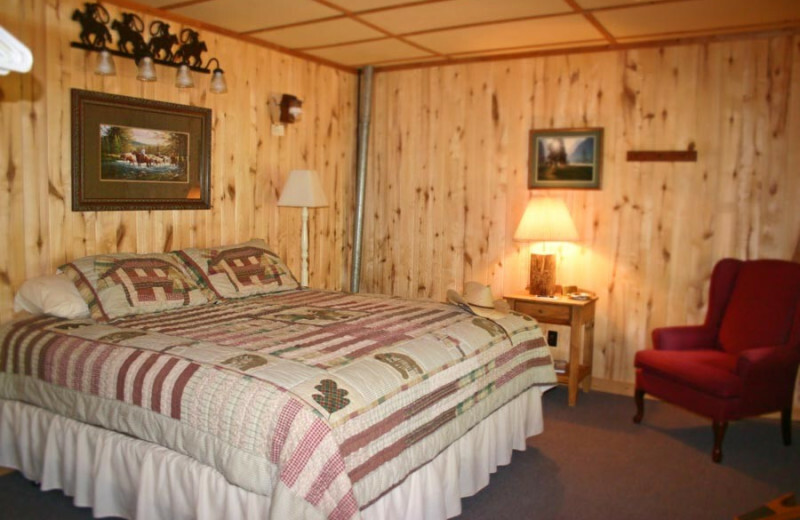 With stunning views of the surrounding Rocky Mountains and the Arkansas Valley, this is the place you go to when you want to get close to nature. The San Isabel National Forest is all around and the Little Bull Creek runs alongside the property. 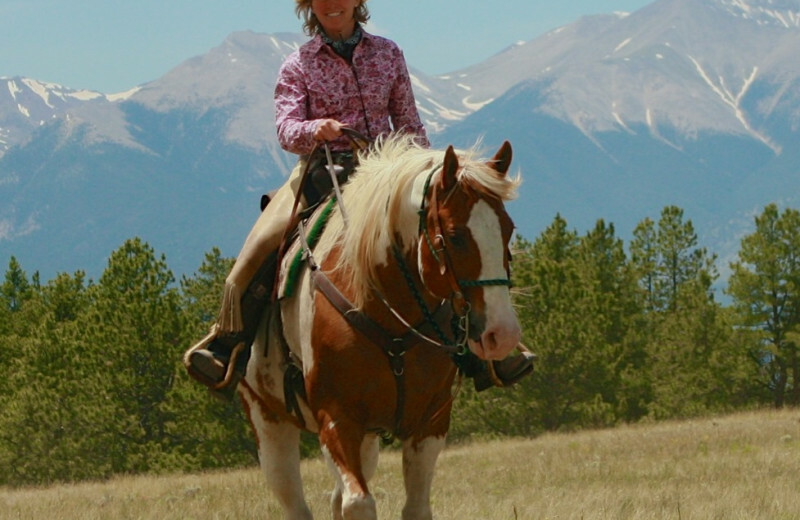 Explore the magnificent area on horseback rides, or enjoy whitewater rafting down the nearby Arkansas River. 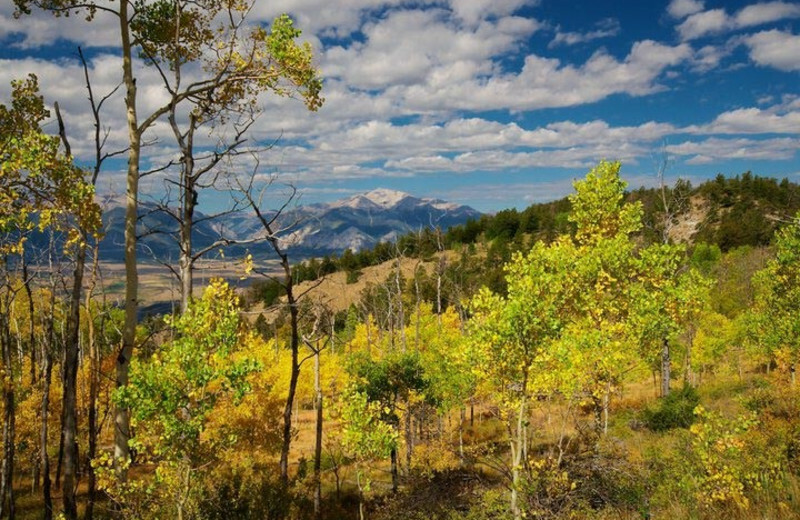 Don't forget to bring your camera along so you can snap photos of the deer, elk, and antelope that appear on the surrounding National Forest! 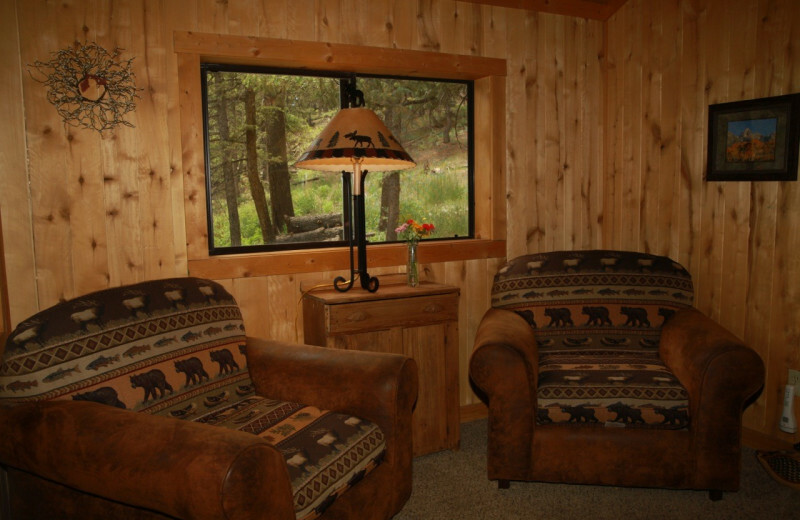 Two onsite stocked ponds at the Elk Mountain Ranch is a great way to enjoy a little fishing during your stay. 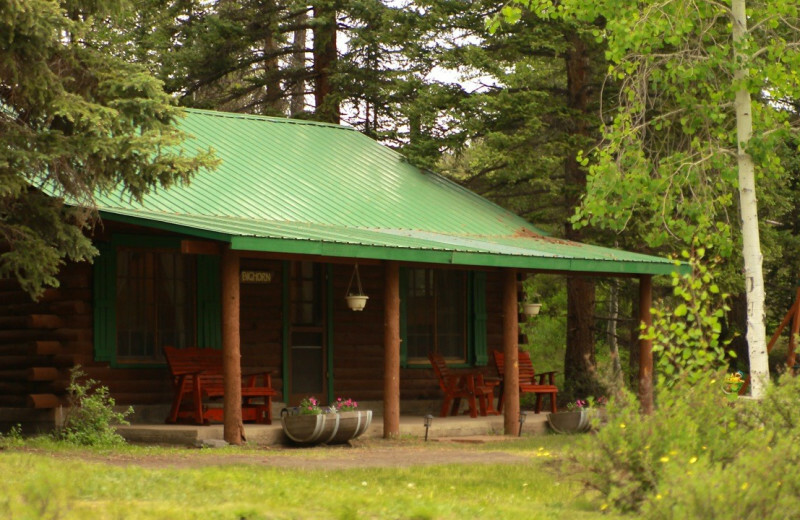 You can bring your own equipment or borrow from the ranch. 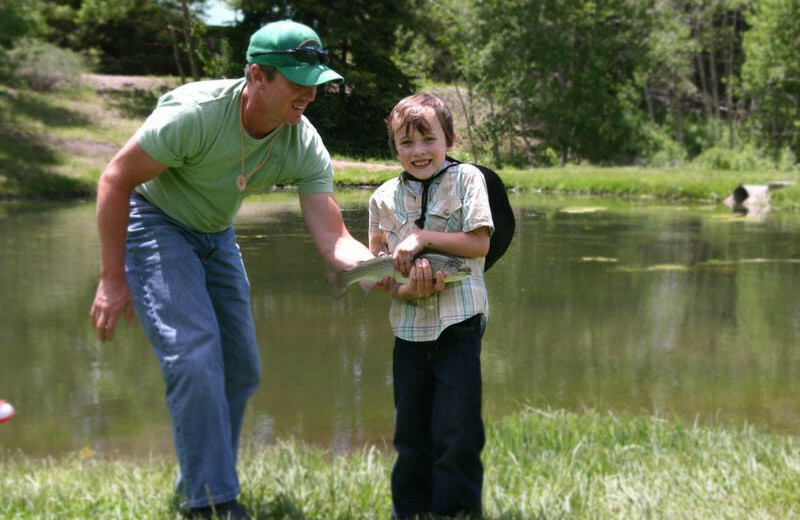 For a more exciting fishing experience, professional guides stop by once a week for a hands-on fly-fishing clinic. 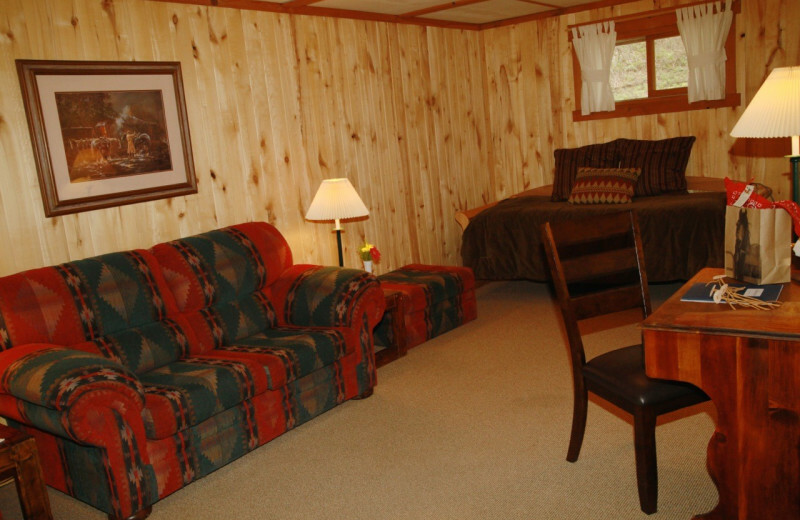 Or, you can arrange for an offsite fishing trip at the Arkansas River! 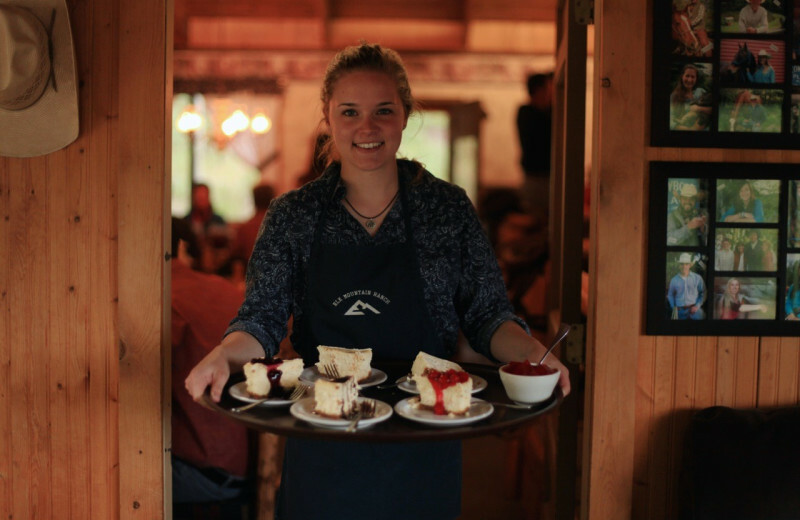 There are plenty of exciting opportunities waiting for you! 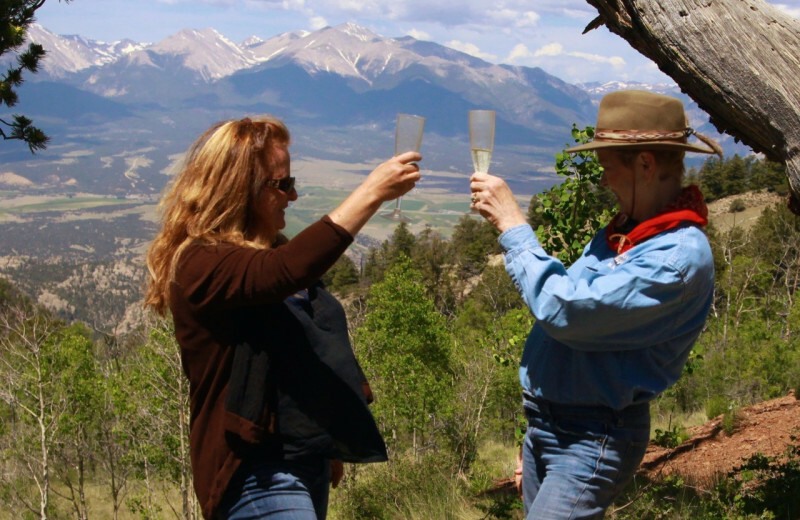 Elk Mountain Ranch lets you and your sweetheart escape the hustle-bustle of everyday life and indulge in life's simple pleasures. 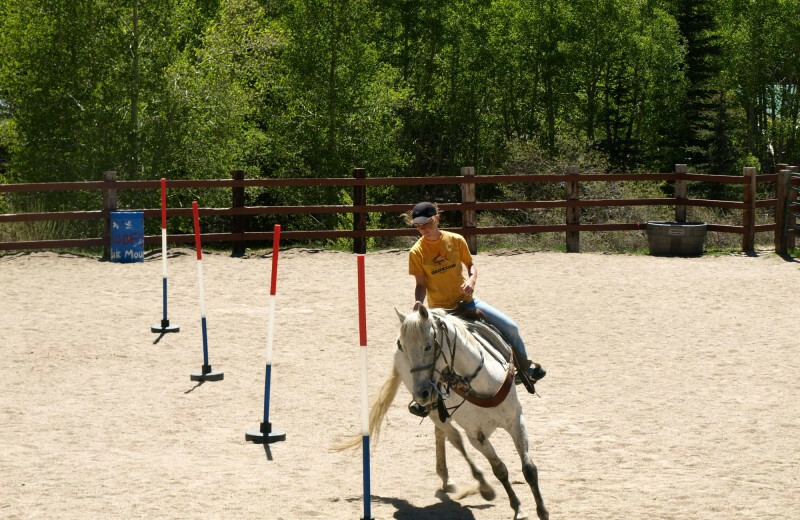 Here, surrounded by the majestic Rocky Mountains, the two of you can spend quality time together exploring the horseback riding trails, enjoying an afternoon of archery, or adventure the off-site ropes course. 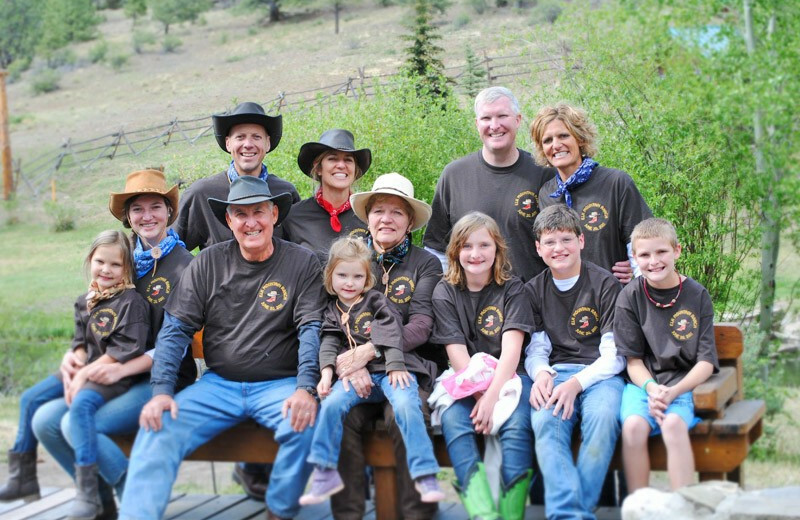 In the evening, enjoy square-dancing together for the ultimate ranch experience! 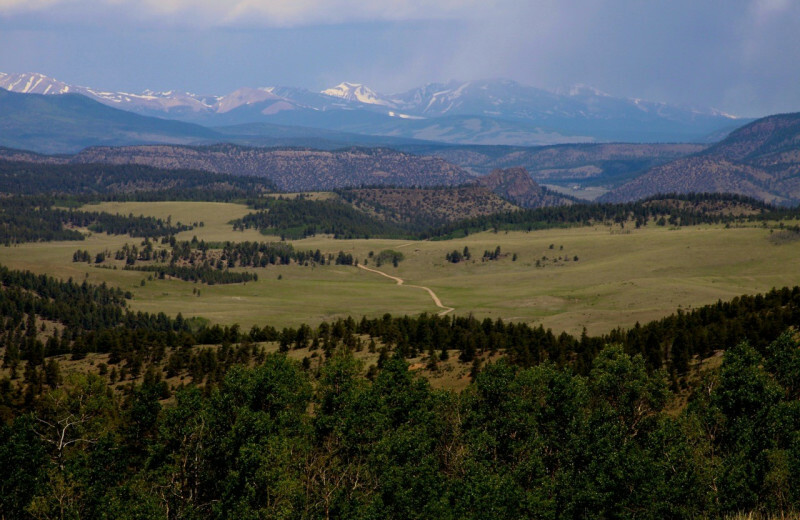 The beautiful Rocky Mountains surround Elk Mountain Ranch. 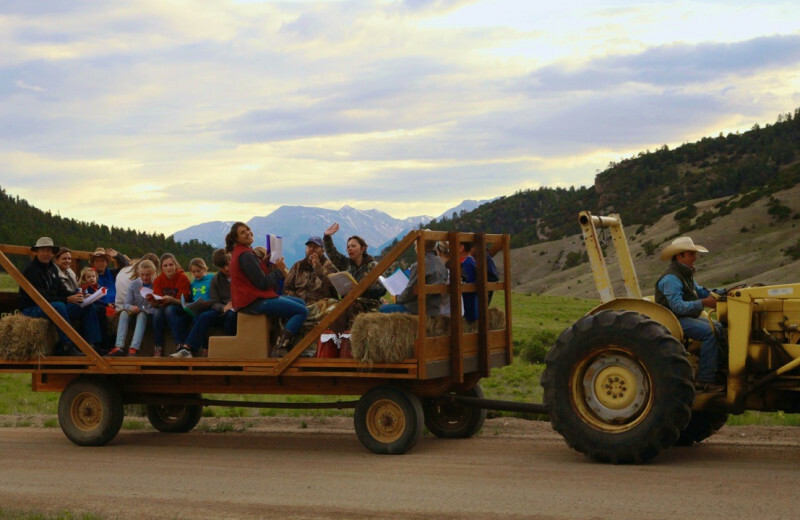 The ranch itself rests at an elevation of 9,600 feet, making it the highest guest ranch in all of Colorado, with views that are truly unbeatable. 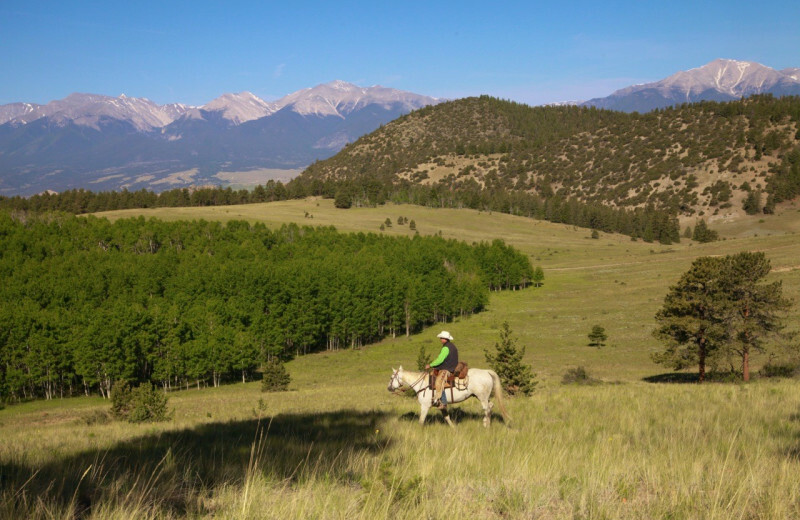 The ranch offers the largest collection of peaks over 14,000 feet in the lower 48 states! 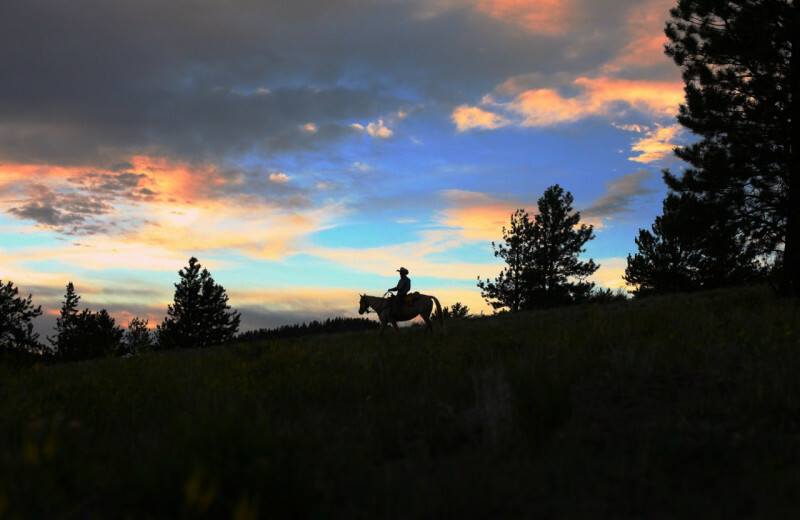 Experience this stunning destination on horseback or via foot on a rejuvenating hiking trip throughout the surrounding trails. 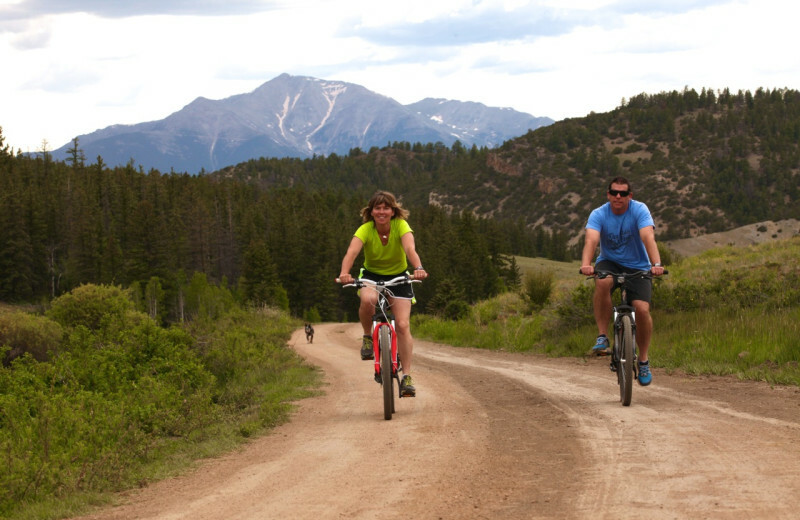 The ranch provides mountain bikes as well if you're looking to take things up a notch! 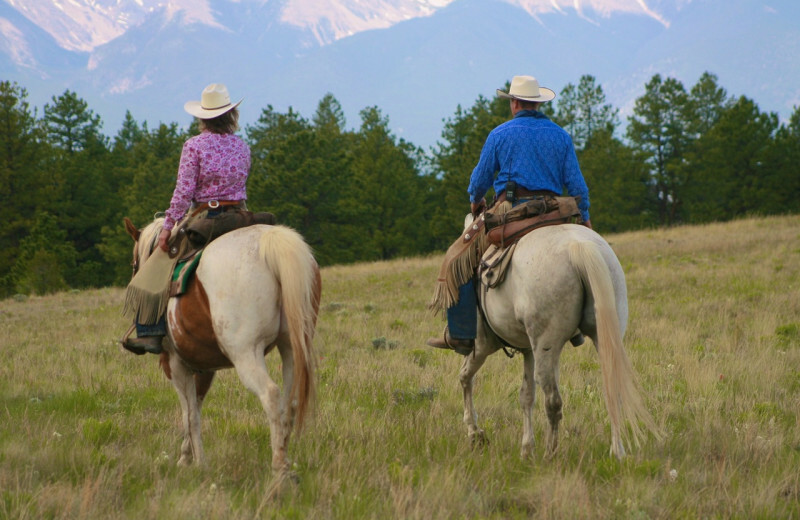 A ranch vacation is probably not what you first think of when planning your honeymoon but; after you spend your week at Elk Mountain, you won't ever want to vacation elsewhere again. 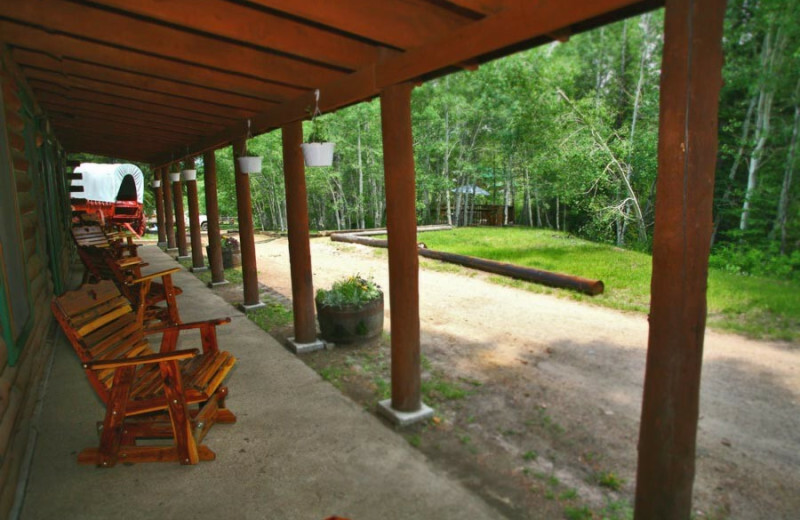 This charming Colorado destination provides you with an intimate experience as they as they host 30 pampered guests each week. 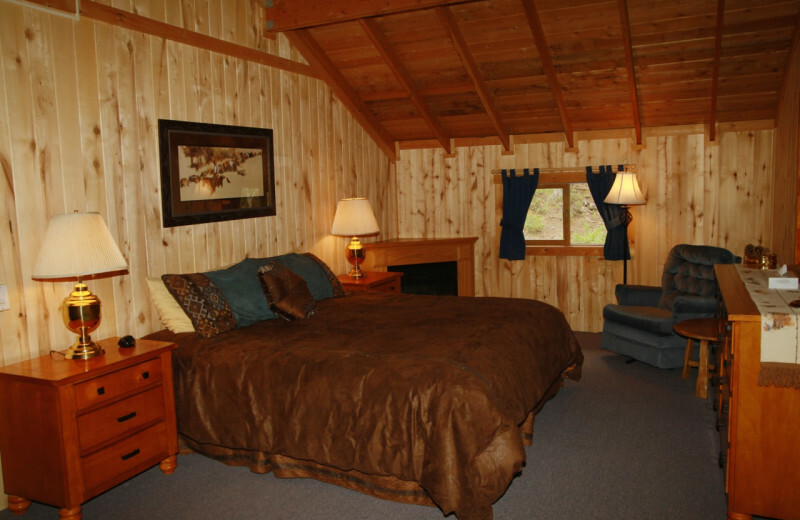 You can settle into a cozy accommodation and enjoy endless of activities just steps away. 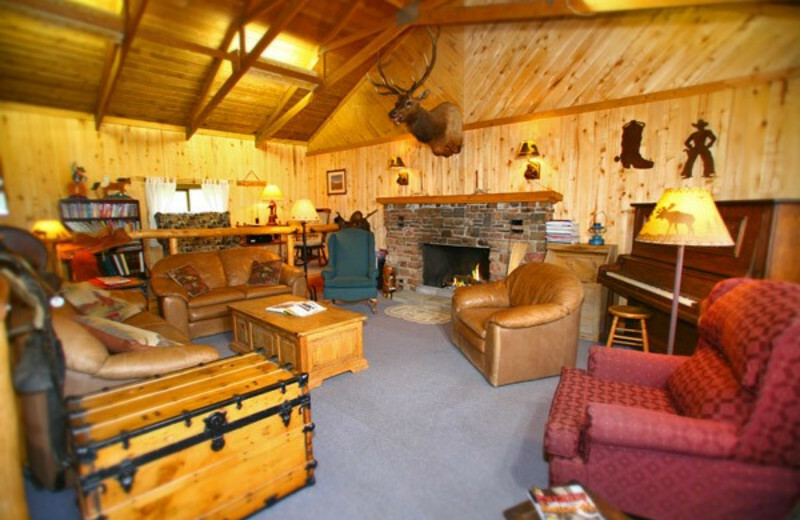 Horseback ride through the mountain trails or spend an afternoon fishing at the pond! 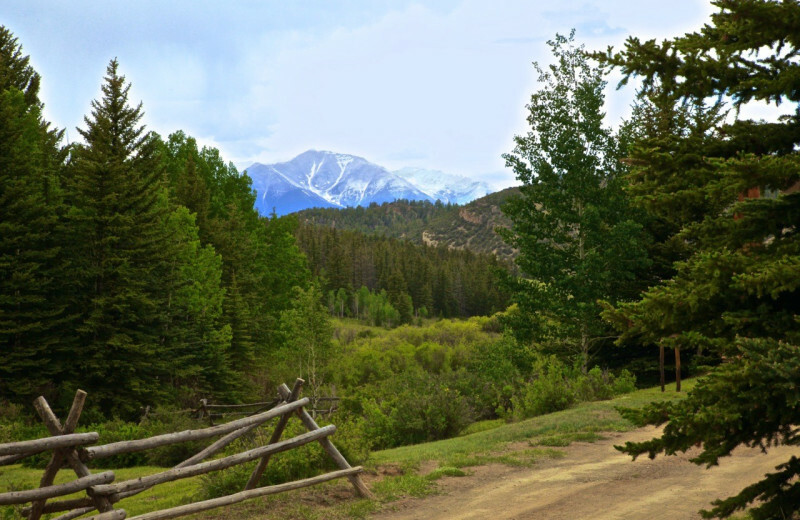 Surrounded by the majestic Rocky Mountains and the San Isabel National Forest, and located adjacent to the Browns Canyon National Monument, Elk Mountain Ranch is an exceptional destination for your Colorado vacation. 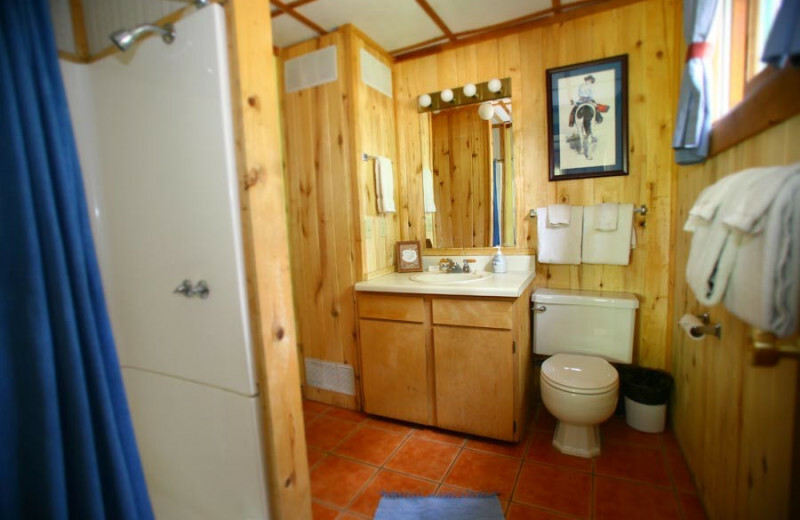 This fantastic retreat lets you trade in the skyscrapers and loud sounds of the cities for the tall, towering trees and the refreshing mountain air. 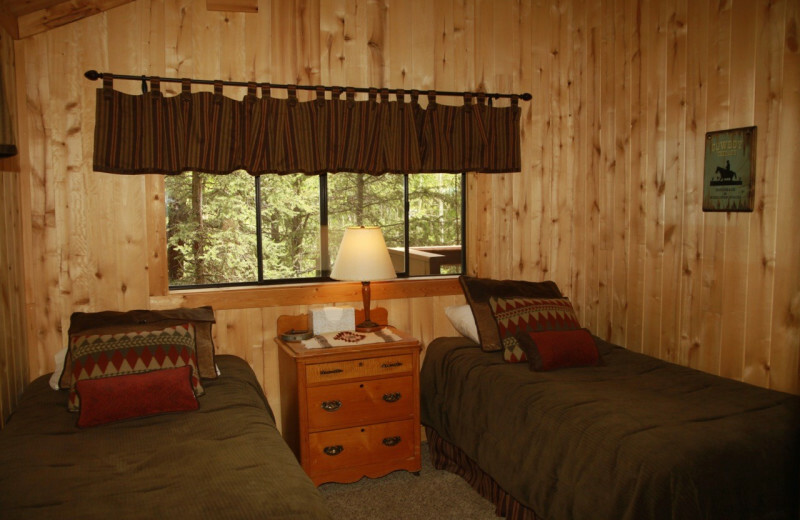 Stay in a charming cabin complete with full bathroom, cozy living space, and stunning views, and enjoy being just minutes away from all the activities and adventures this exciting getaway has to offer. 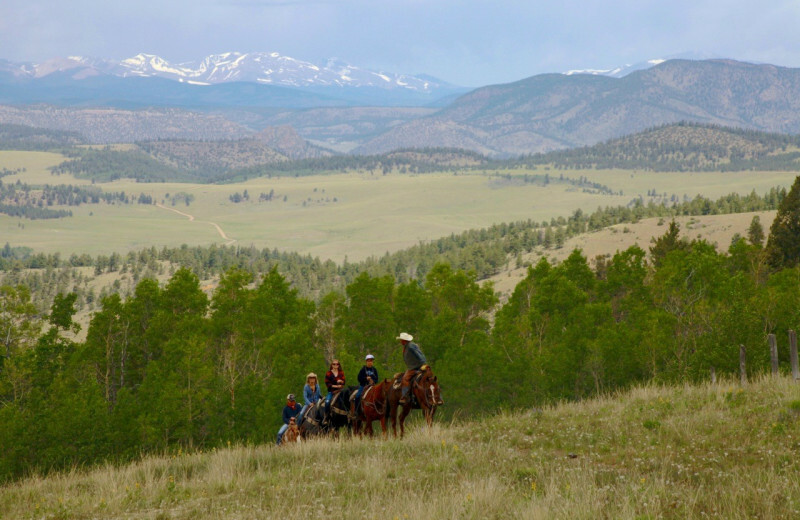 At 9,600 feet elevation, Elk Mountain Ranch is Colorado's highest guest ranch! This exciting, all-inclusive destination provides you with stunning views, comfortable accommodations, and endless activities to keep you entertained throughout your stay. 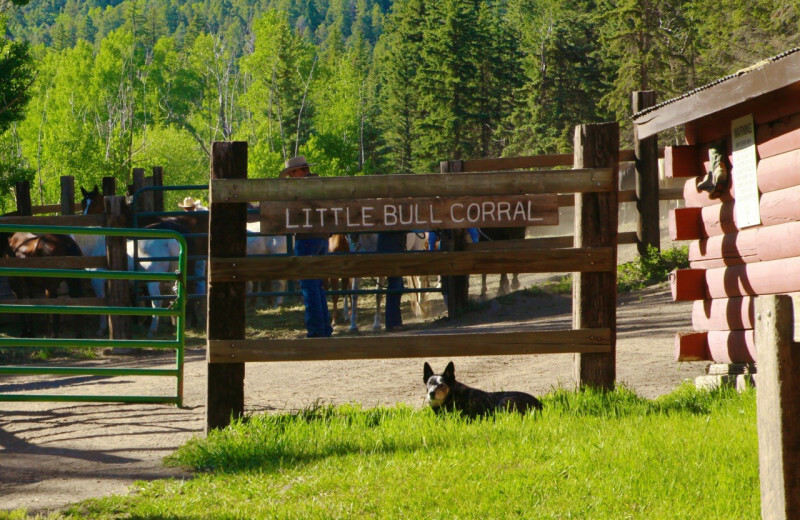 Head out on guided horseback rides, cast your line for fish at the stocked ponds, or stop by the petting zoo to visit the animals. 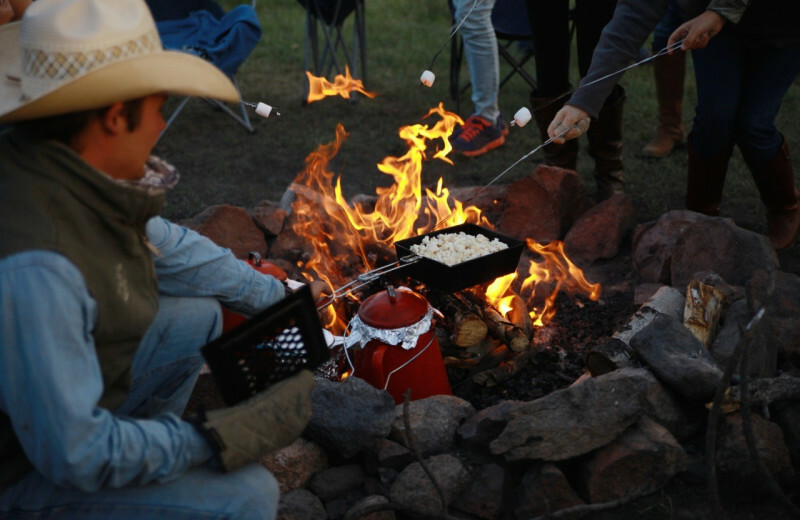 Trail rides, cookouts, and many other ranch activities come together to make this the most exceptional vacation you've ever had! 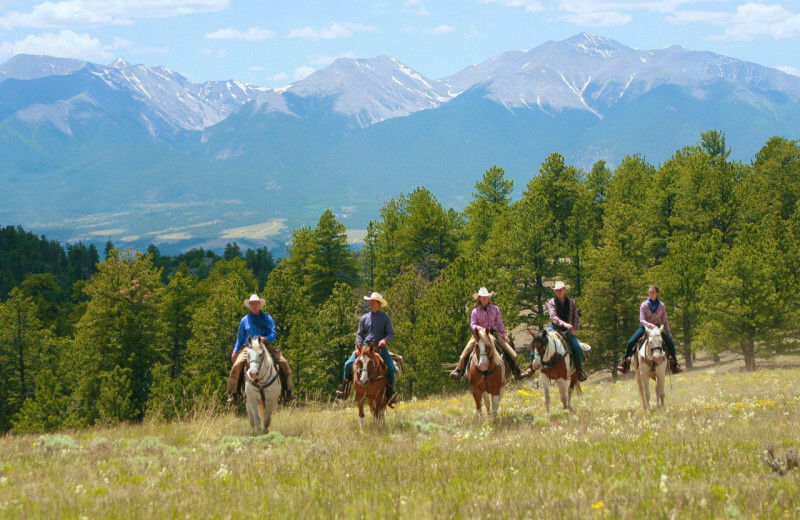 Elk Mountain Ranch provides everything you need for exciting outdoor adventures in Colorado's Rocky Mountains. 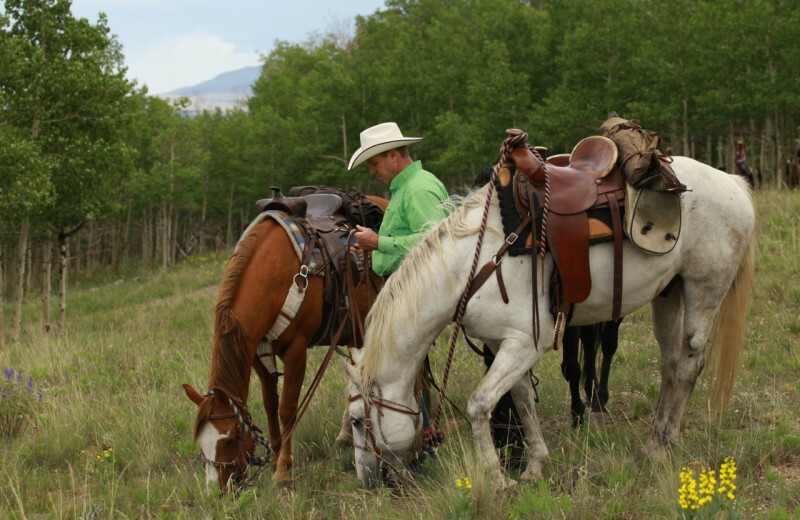 Their horseback riding trips are led by professional wranglers, while fishing adventures are supervised with experts who know the area and the sport. 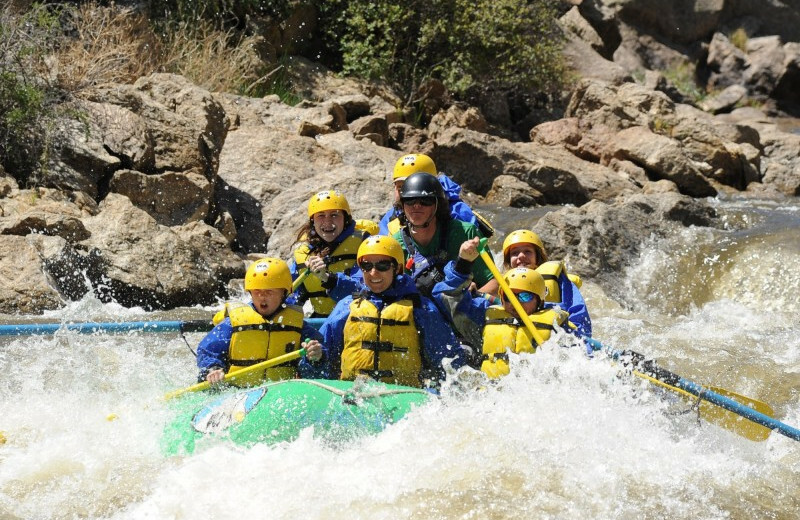 Full-day whitewater rafting trips on Arkansas River are also led by expert guides and include fully-equipped rafts and life jackets, while wetsuits and booties are available to rent for a minimal charge. 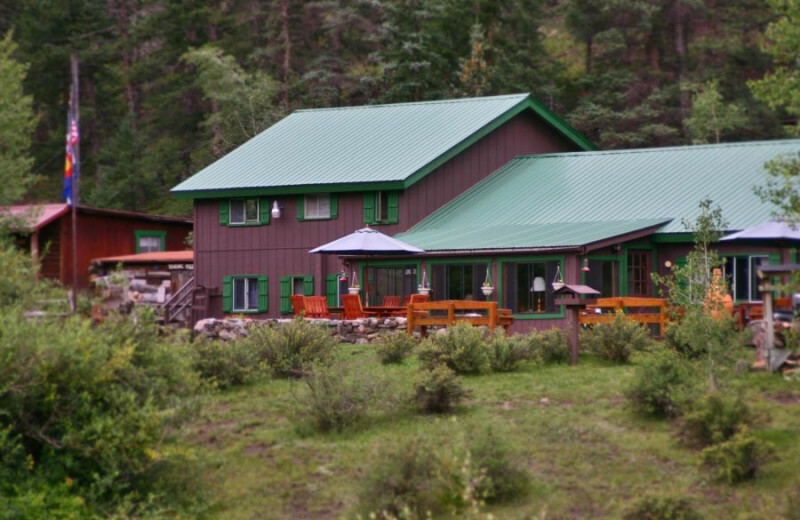 This property is ranked number 5 on Top Colorado Dude Ranches. Read about it here.